Connor is an associate in the Litigation group where he concentrates his practice in complex commercial litigation, including experience in matters relating to commercial contract disputes, insurance coverage, insurance fraud, professional liability, antitrust, government contracting, and reinsurance. He has experience in all aspects of litigation and arbitration, including discovery, witness preparation, briefing and arguing dispositive motions, arbitration proceedings, and appellate briefing. 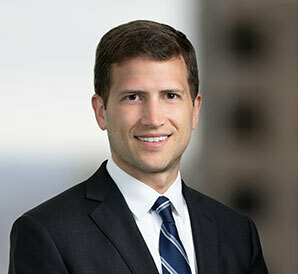 Prior to joining Barack Ferrazzano Connor was an associate at a well-known Chicago-based boutique litigation firm. While attending law school, he spent time working as a Civil Division Law Clerk in the U.S. Attorney's Office for the Southern District of California and as a Law Clerk at the Pediatric Advocacy Clinic. "Negotiating with Confidentiality: Supplementing the Protections of Rule 408,"